I have taught so many projects to my students over the last 13 years and I was recently encouraged by a friend of mine to write them into patterns! I takes a lot of time, but I really enjoyed every moment of it. Pictured above is a cute crazy quilt billfold pattern that I just finished. 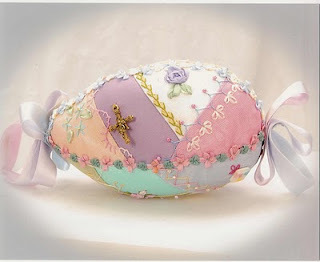 Here is a cute crazy quilt Easter Egg pattern. 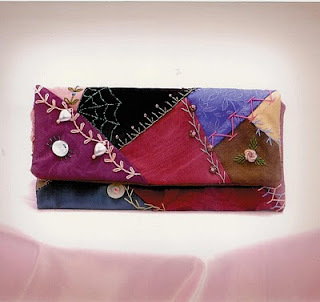 This is one of my favorites, I just love to crazy quilt in pastel colors! 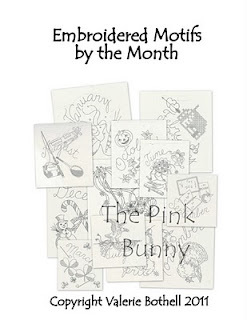 This is a cute collection of monthly embroidery patterns. 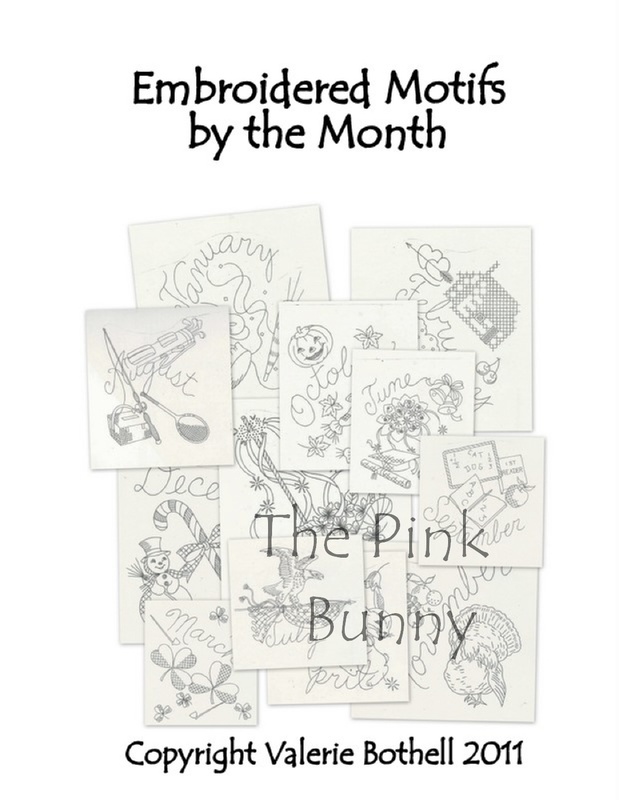 They would so cute to embroider and put in the center of a crazy quilt block! All of these patterns are available at my website, www.valeriebothell.com. Lovely Valerie. Will have check that out!